Meet Dr. Kaps also known as Florian Kaps aka one of my personal heroes. 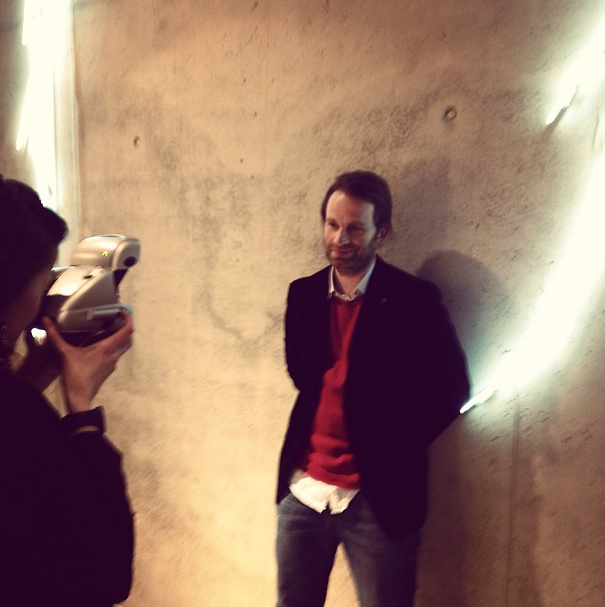 Florian is the founder and CMO of a company close to my heart called THE IMPOSSIBLE PROJECT and the personification of the ultimate rescue operation for instant photography called POLAROID. It was around 2008 that Polaroid, the company, decided to abort its own child and caved into the rise of the digital camera and therefore decided to close their Polaroid film factories in Enschede, Holland. Instead of at least trying to rebrand their own iconic product, this company distanced itself from the very same product that made them big in the first place. I remember reading this in the newspaper asking myself If I was part of some very rare breed of people who still use the Polaroid camera anno 2008 or that Polaroid was more loved by its consumer than the company suspected. I also remember a ridiculous collaboration with Lady Gaga and wondered how on earth this once iconic company could lose track like that. A year later, in 2009 I started this blog with a little push from the Belgian chief editor from HUMO magazine and with the sad knowledge that one day I might run out of Polaroid film, the very basic element of this blog. Remember this? It’s still in the ‘About A Polaroid Story’ Section. Sure, I thought about using Fuji Instax film, then again, this blog is named A POLAROID STORY, not A FUJI INSTAX STORY, so I decided to be stubborn and stick to my concept by using only original Polaroid film, although that meant that I was making this very hard for myself. Then again, what’s new? I was very excited to read in the newspaper one day that a certain Dr. Florian Kaps gathered a small team of former Polaroid employees around him and decided to buy the old Polaroid factory in Enschede (the only place in the world where you can still find the complete production machinery) and would make an attempt to create new and unique instant film. In 2010 the first Impossible film was released in the world, and although I loved the entire project, the film as it then existed was too fickle and unreliable for me to work with. At that time the film was so sensitive to temperature and light that, for my specific cause, using the film was simply not interesting. How come, I hear you ask? Well, let me explain it in this way. If I had to choose between expired but reliable Polaroid film or new experimental Polaroid film while I have a once in a lifetime opportunity to shoot for example… Jay-Z , I had to pick the expired film, because the risk of a Polaroid-Turned-Bad at the time was simply too big and you know that I don’t have that much opportunities with huge stars and therefore I always had to stick with the reliable expired film. It takes too much of a hustle to get close to a certain artist, to risk the fact that my film would fail once I’m in front of that artist. However, I kept experimenting with the new Impossible Film and over the years I noticed the quality getting better and better. The first time I really tried it for this blog was with this ODD FUTURE story. Since then, expired film started to cost me more and more on Ebay and it was also getting harder and harder to find. Meanwhile, Impossible Film kept on working extremely hard to optimize their film. 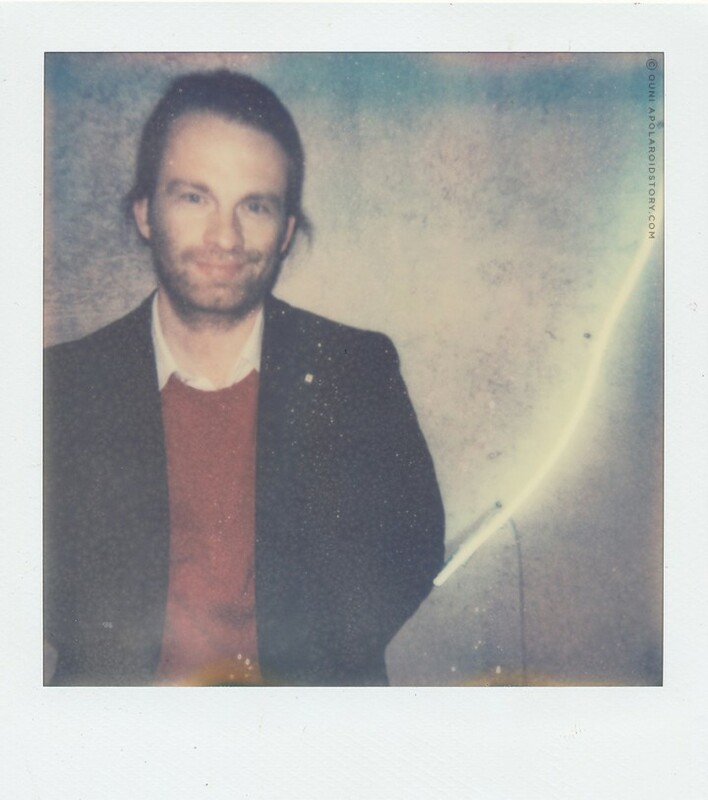 I met Dr. Florian Kaps not very long ago at SMETS PREMIUM STORE in Brussels that officially sells Impossible Film in their store and organized a super fun event to celebrate Polaroid with an accompanied press launch. SMETS is one of the biggest fashion buyers in the BENELUX and offers 3000 square meter of high fashion, design, accessories, a restaurant, a wine bar and a cocktail bar. (Yes, take that Colette!) I was very honored and extremely excited to be able to meet Florian Kaps and exchange my Polaroid experience and love for instant film with him in person. I thought that it was only right that he should be Polarized amongst all the other artists I feature here, because he is truly a hero for me. Dr. Kaps battled against all odds, collected several millions in order to see his ideas come to life and he saved one of the greatest inventions of photography from a sudden death just because he believed so much in instant film. After the official press launch he took out a moment for me and I had the chance to snap my personal hero on Polaroid. I had the chance to explain my future goals and expectations that I have with this little blog to Florian and this resulted in a first official collaboration with THE IMPOSSIBLE PROJECT and I truly hope the beginning of a prosperous partnership. You never saw a banner before on this blog, but for the next 3 months, you’ll see this Impossible Project banner sticking proudly to the right corner of my blog. I started this blog almost five years ago and I paid every damn penny myself to keep this blog going. The Polaroid film, the APS parties, the APS expo, all the trip expenses while I was hunting for Polaroid stories (hotels, trains, cabs) you name it. I paid for it from my own pockets. To keep this blog running, I have to start looking for the right partners to team up with, so I’m very happy that I’m teaming up with a company that values ‘striving to do the impossible’ just as much as I do. PS: Shoutout to SMETS for the lovely event. Small SMETS x APS event recap soon!